The Girl Who Becomes ‘World’s Best Athlete’ Beating All Odds!!! Simone Biles has become a synonym of girl power today. This amazing little (yes, only 4-foot-9) wonder has shown the world that nothing is impossible! Her courageous flight from a tragic childhood to an unimaginable stardom today is inspiring countless people from all over the world. Here’s the most incredible story of Simone Biles – the girl with all the moves. 1. The wow-worthy intro of our little star – Simone Biles! A 19-years old star gymnast of team America, Simone Biles is the most decorated gold medalist in the history of world championship gymnastics. •The first female gymnast to who scores all-around titles (four consecutive times) in the US national championships, since 1974. •The first women ever to ace the all-around championships for three years continuously! •The girl who’s scored FOURTEEN!!! medals in world championships in total! • The first American woman to have won these many medals ever! Simone Biles is all of this and so much more! 2. The difficult days of childhood and the most heart-melting rescue – Simone Biles starts a new life! She was born to parents suffering from drug addiction. Her father had abandoned her mother; who never really took care of the children. Simone and her siblings had to shuffle back and forth in foster care for some hard times before their maternal grandparents took them in. 3. Simone Biles – a girl born with the gift of a talent like no other! Little Simone was a true gymnast in the making. Teaching herself to flip and bend from the mailbox to copying others at daycare, she could feel the gymnastic pull! And so her new, loving parents got Simone into her very first gymnastic class at a very young age. 4. 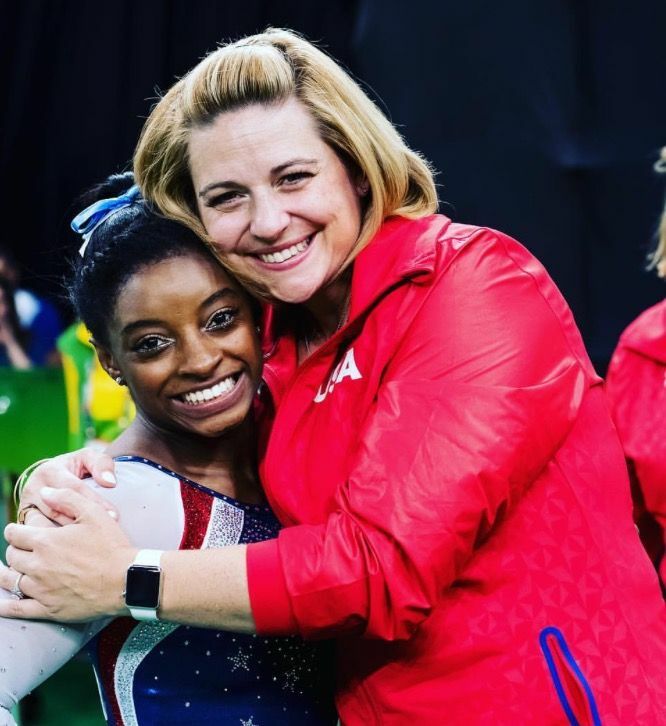 The most beautiful relationship that’s going to change the world of gymnastics one day – Simone Biles and coach Aimee Boorman! Within a year at her first gymnastics class, Simone was spotted by Aimee Boorman, who has been a competitive gymnast herself. And from there began the journey that has changed her world completely! Wouldn’t you wanna know what our girl Simone Biles feels about this one of a kind relationship? 5. A moment of setback that made Simone Biles a different person entirely – the fall at the 2013 Secret U.S. Classics! This was the moment when Simone grew week in her knees. Hurt from the fall in the performances and unclear in the heart, she gave it her all to come around even stronger! 6. The breakthrough that has made all the difference in Simone Biles life – the new star of gymnastics shines! 7. Stepping out as the American start in the world – Simone Biles and the 4 medals story! 8. All the wonders she’s worked – Simone Biles‘s bright victory list of achievements! She enjoys a matchless love and reputation in America and has not left any stone unturned to be the world’s favorite! She has won EVERY single competition she has stepped in after the P&G Championships 2013! 9. The best of Simone Biles – moves that even defy physics! She doesn’t just perform, darling, Simone Biles is one thunderbolt who has her own signature move – the Biles!!! She is proudly the first ever female to perform two layouts and a twist mid-air. Which, trust me, requires enormous strength and precision. 10. Simone Biles outside the gym- the girl with dreams, family, and a crazy spirit like no other! Oh, she’s just a regular crazy and amazingly awesome girl when not in the gym. She loves her close-knit family! Simone Biles is definitely one special girl – More power to you, cheers!